I guess somewhere along the line I dropped the hot potato! I pretty much took it out of my diet. Perhaps I too was brainwashed from the low carb craze most popular during the days of the Atkin’s Diet but which still exists today. Or maybe, it was the fact that I ate potatoes in the form of french fries dipped in ketchup with salt or mashed with butter and oil or baked with sour cream, butter and who knows what else! I think potatoes and I got off to a bad start with the change in my eating lifestyle and quest for health! High in dietary fiber- fiber is especially important for those suffering with constipation, diabetes, and high cholesterol. Preheat the oven to 400. Clean both of these vegetables well. Then cut the brussels sprouts in half. I combined them in a baking dish topped with some sun dried tomatoes and extra virgin coconut oil. Bake them until the potatoes are soft enough- about 45 minutes. 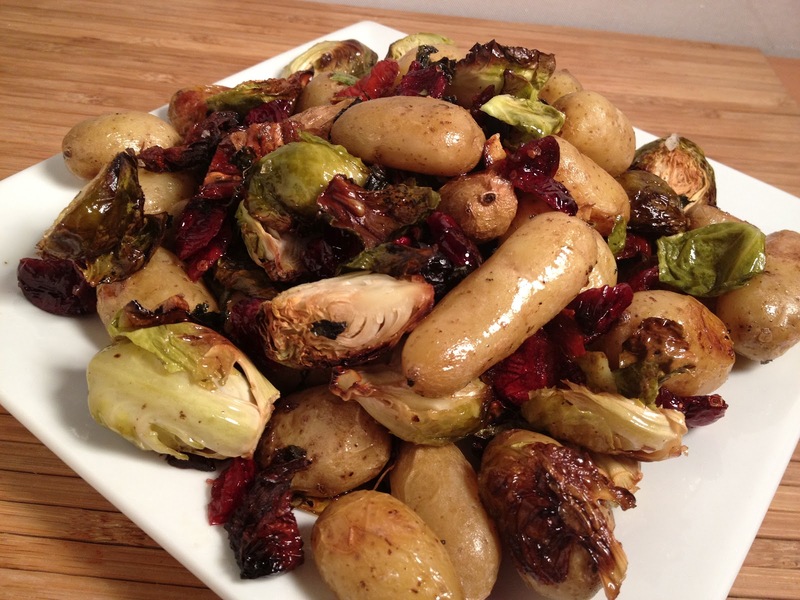 Brussel sprouts are incredibly healthy as mentioned in a previous blog.